Allegra Wells is a Atlanta, Georgia rep for Fundraising University. A native of Dallas, Tx Allegra graduated from the University of Mississippi where she competed in volleyball and track from 2009-2013. In 2011 she was selected for the A2 Olympic team where she competed in Dallas, Tx to receive a silver medal. She received her Bachelors of Broadcast Journalism with a minor in History in 2013. After her collegiate career she signed to Vasas volleyball pro team in Budapest, Hungry. Spending only 6months there due to an injury she returned home to pursue broadcast journalism. Allegra spent 2 years working with the SEC Network as a commentator for volleyball games. In 2015 she began her coaching career with NAVC in Atlanta, Ga. Coaching 16-1s and 18-1s to win a national bid in 2017. She had the pleasure of coaching volleyball and loved working with coaches and athletes throughout her time. Allegra is the youngest of three. With 2 older sisters Ebony Taylor, Whitney Wells and 2 nieces and a nephew. Her mother Sonya J. Wells is a Life-coach through her on ministries at http://www.sonyajwells.com/. Her father Arthur Wells is also a former Athlete himself, attending Grambling University where he played football under the famous coach Eddie Robinson. He was drafted into the NFL by the New Orleans Saints in 1987 as a TE. Also playing for the Tampa, Bay Buccaneers. 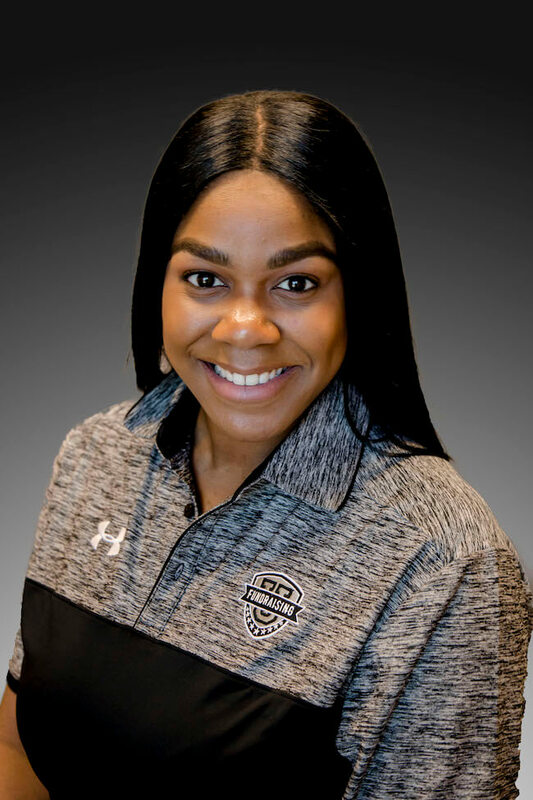 When given the opportunity to work for Fundraising University, Allegra leaped at the opportunity to continue to work with HS coaches and players to help them transform their programs by helping them to Dream Big, Raise More, Work Less! To better serve the Atlanta, Ga region, helping each of you elevate your programs through the power of Fundraising University!